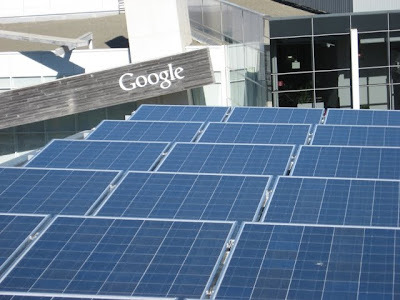 Google has a blog post with a Green Tour of the Google campus. Note: there data centers mentioned are not in this post, but I did learn today, Oct 15, 2009 is Blog Action Day for Climate Change. We care about a clean energy future and that's a commitment that starts at home. In honor ofBlog Action Day 2009 and this year's climate change theme, we wanted to walk you through some of the green features of our global headquarters here in sunny Mountain View, California.